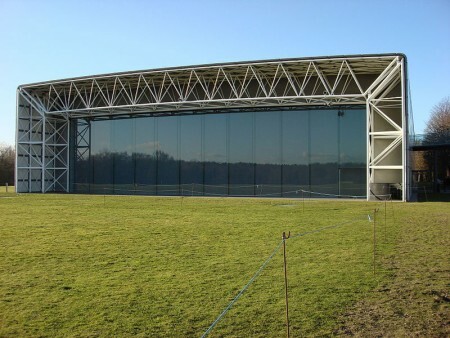 The Sainsbury Centre for Visual Arts. The University of East Anglia (UEA) is pleased to announce that the 13th annual conference of POCA (Postgraduate Cypriot Archaeology) will be held on the 1st, 2nd and 3rd of November 2013. POCA conferences have typically been weighted towards Cypriot archaeology. However, recent meetings have adopted a wider chronological, contextual and multidisciplinary approach to Cypriot studies which POCA2013 hopes to encourage. POCA offers an excellent opportunity for post-graduate students and early career professionals, from a variety of backgrounds and disciplines, to present their work in a sympathetic context, exchange ideas and meet colleagues with similar research interests. There is no registration fee, however delegates would need to make their own travel plans and arrange their own accommodation (see http://www.uea.ac.uk/art-history/news-and-events/POCA2013 for updates). Interested participants are invited to send abstracts of no more than 250 words and a title, together with their email address to [email protected], no later than 31st July 2012. Papers should last for c.20 minutes. Recent conference proceedings have been published and the Organizing Committee would anticipate that this would be the case with POCA2013. All submissions will be subject to peer review although acceptance for presentation does not guarantee inclusion in the final publication.